The California Division of Occupational Safety and Health (Cal/OSHA) slapped the city with nearly $8,000 in fines. 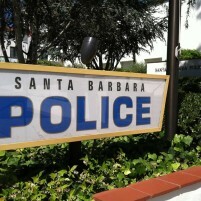 State investigators also released a report detailing seven safety violations at the Santa Barbara Police Department headquarters on Figueroa Street. Investigators say they found unsafe levels of lead in the men’s locker room and asbestos-containing materials on the floor of the fitness room. There was also mold on the walls and a lack of antibacterial soap in the station’s decontamination area, according to Cal/OSHA. The city must correct the violations and pay the fine by September 30 unless it appeals the findings. I do not understand the tone of this article’s headline. I love CCN, have been a supporter, have had respect for your site and the wonderful job you guys do the wonderful stories you have researched and informed us about. But, following the last article about all the gossip at Mission Middle School and now this article about “Santa Barbara police fined by state agency” is misleading. The City of SB was fined, possibly because the police staff reported these issues, so to imply that the police did wrongdoing is just plain wrong. You guys are great, you do not need to play the “Enquirer” trick of bait and switch headlines to get people to read. Please, do not change your model of honest reporting. Still think you are great! Completely agree with SLOBIRD on this. This is corruption at its finest. The police union using their crony contacts in OSHA to try and force Santa Barbara into building them a new facility that is more fitting for people taking home $150k paychecks. In the real world, in private companies which are sustainable and make a profit, you find an environment of dust, pollutants, old junky desks, A/C not reaching your area or too much A/C reaching your area, you know LIFE. Not that big of a deal, get over it. I foresee a perpetual motion machine. SBPD can arrest and fine OSHA for something to help defray the cost of these fines. Then OSHA can find new violations to pay for these fines. Then SBPD can fine OSHA again, and the merry-go-round continues. Well, the taxpayers are screwed but not when the government merely takes our money out of their back left pocket and puts into their front right pocket. No additional money was taken from the taxpayers with these fines. I think the better point is that one government agency fining another government agency is non-nonsensical and offensive. Non-sensical because it’s not their money so it’s not a deterrent; as if what, Santa Barbarans are supposed to accept a theoretically $8,000 less good police department now because of the fine? Offensive because no informed taxpayer thinks this does anything to better their community. In fact, the real story is the, probably, $100,000 these idiot bureaucrats spent monitoring and testing and inspecting and coming to this hare-brained slap on the wrist. I mean how about just a directive to fix the problems rather than a fine? What would really be funny now is if SB appealed so govinmint could spend another 100k in the courts fighting over this. So what happens when one State Agency fines another…. Yep, one again the tax payers are screwed….how humorous.